If you don’t wish to keep your dog indoors all the time, but would like to provide him with an area to run about in, in the garden you will find an invisible dog fence useful. 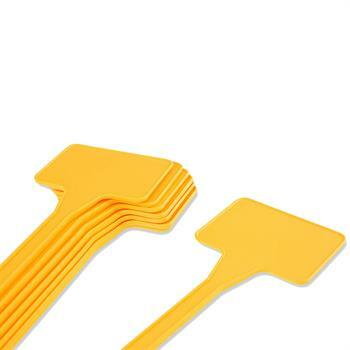 This electric dog fence is not just invisible, it is also effective and easy to use. An invisible dog fence is suitable for both large and small dogs and for larger and smaller plots of land, and also offers many advantages. However, you should not just choose any old electric fence for dogs, as customers have different expectations and electricity is involved. 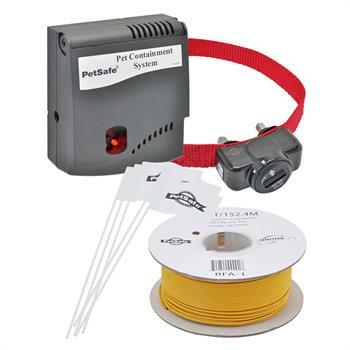 To enable the owner and dog to really benefit from electronic pet fencing, a few criteria need to be observed, as explained below. Why do so many people opt for an invisible electronic dog fence? It’s in a dog’s nature to live out of doors. Unfortunately, this is not always possible, especially if you live in a flat in the town centre where there is neither enough space nor legal authorisation to do so. However if you have a small patch of grass, a garden or a suitable area in the backyard, you should make the dog’s life as pleasant as possible and give him a place to run about in. This is precisely where your problems begin, as, particularly in the case of an untrained or young, impetuous dog, your dog may soon run away or go beyond the limits of his boundary. This can cause arguments with the neighbours or you may even run the risk of your four-legged friend roaming far from the house or getting lost. There is also the risk that, for instance your dog will run into the road and cause an accident, or that he will bark at, or attack people, or that he may get into a fight with other dogs. In such cases, you could do with some good advice. An ordinary fence would appear to be a good solution, however it may be considered unsightly, it may need to be constantly maintained or replaced or it may take up a great deal of your time. Sometimes, it may even be prohibited to erect a fence on a plot of land. In this case, we recommend invisible pet fencing, which reliably fulfils its job while not looking unsightly. The principle behind the invisible fence for dogs is considerably easy and yet at the same time sophisticated: You need cables or wire for the electricity to flow through. This is laid on the edge of the plot of land to be enclosed, forming a continuous, uninterrupted circle. The cables which can be connected together are, in principle, available in the online shop. The wire is either laid on the ground, or buried beneath it. If you bury the cables under the ground, the advantage is that there is nothing to be seen at all. 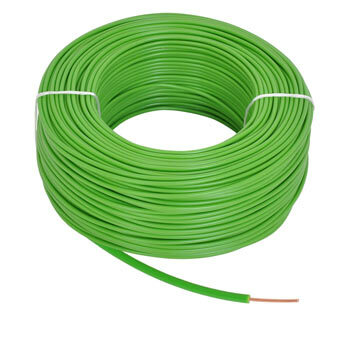 In addition, in the event of wind, bad weather or other external influences, the electric conductors do not run the risk of becoming displaced or damaged. 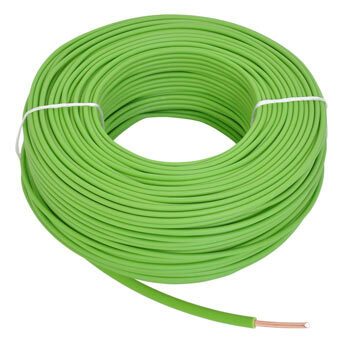 If you decide to run the cables above the ground, the fence cables can be held in place and prevented from slipping with wire components (staples) or similar devices. The electric circuit is closed at both ends of the enclosure, i.e. at the start and end points. A control box is used for this purpose. In turn, this is connected to the power supply, i.e. to an external plug socket. Therefore, the invisible dog fence is continuously supplied with electricity. What else is needed to use an invisible dog fence? 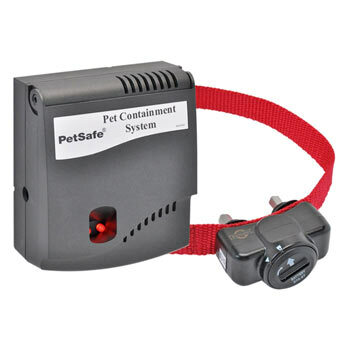 The electronic dog fence only operates if the dog wears a corresponding collar. 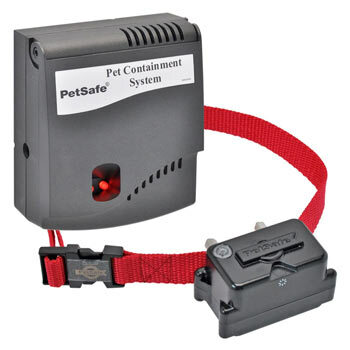 The electric fence operates as a transmitter and a receiver is integrated into the dog collar. 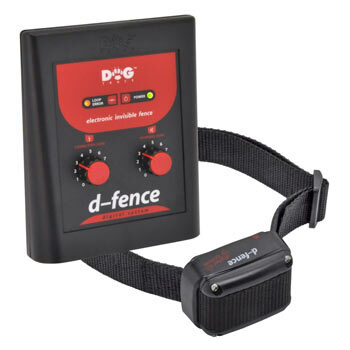 If the dog approaches the fence, the receiver collar registers the invisible fence and emits a single warning beep. If the dog is well trained, as a result, it will stop because of the clearly audible unpleasant warning beep. If the animal is still unused to the invisible dog fence or has a strong desire to escape through it, he will keep going, despite the warning beep. He will then receive an electric shock from the collar, and shy away. The short, sharp electric shock is harmless yet strong enough to keep even excited, temperamental four-legged friends in check. 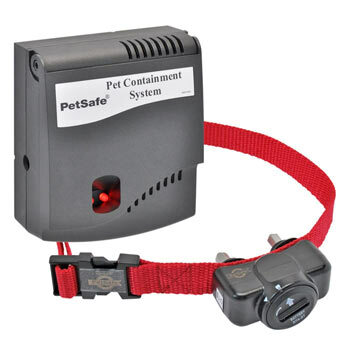 As dogs are capable of learning, a few experiences with the electronic pet fencing should generally be sufficient. The animal then understands that an electric shock will follow the warning acoustic signal and so stops just in time. 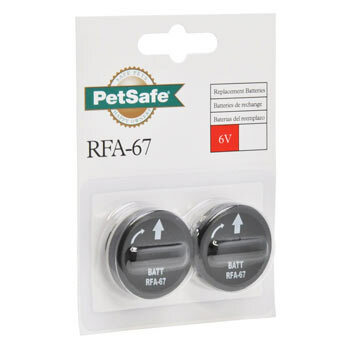 Therefore, an electronic dog fence does not constantly release a shock, but acts as one element of dog training and after a few times, emits just a useful warning beep instead of releasing a deterring shock. 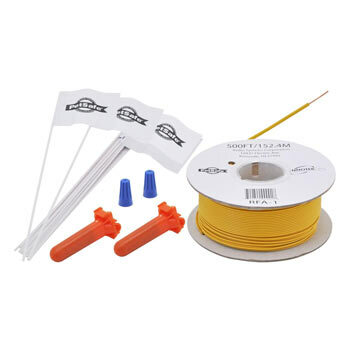 Small red flags can be placed along the cable as markers and optical guides and serve as initial warning signals for the dog. Detailed instructions are provided with all invisible pet fencing The fence is easy to erect if you follow the step-by-step instructions. Depending on the model, there may be slight differences; however in most cases invisible dog fences are all similar to each other. First, you need to assemble the invisible electric fence. The first step includes fitting the transmitter with batteries, and attaching it. For this, we recommend an outside position on the house wall / building which will keep the transmitter dry and protected. Premium invisible dog fence products have a waterproof and weather-resistant casing. It is of course important to have a socket connection close to the transmitter. After correctly positioning the transmitter, the basic settings are programmed on the transmitter. The batteries are connected to the transmitter which mostly comes in the form of a waterproof, compact, black case. The dog owner must then set the strength of the stimulus impulse. This is generally between 0 and 9. For models from the company DogTrace, a magnetic pen is used to do this with beeps indicating the impulse strength. For the transmitter to fulfil its purpose, it is coupled with a corresponding contact pin. Different length pins are available for dogs with short or long hair. 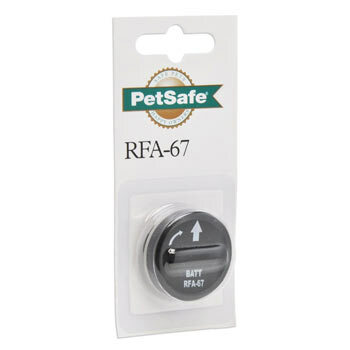 To ensure the functional capability of the invisible dog fence, it is extremely important that the pin comes into direct contact with the dog’s skin. 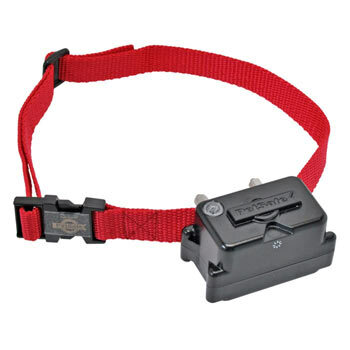 Therefore, you must also ensure that the collar containing the receiver fits tightly. As far as the antenna cable is concerned, it must not be placed near or parallel with any electric cables. 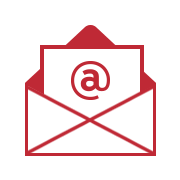 Otherwise, interfering signals will inhibit the electric system’s functional capability. If you use an invisible dog fence in the garden, the antenna cables must be laid carefully. A closed electric circuit is essential. The wire connector (supplied) is used to combine several wires. For optimum safety, insulating tape can be used. Tying or incorrectly connecting the wires will interrupt the flow of electricity and create a fence system which does not operate flawlessly. However, in some cases, this can be desirable – for example, for the short distance between the cable and the transmitter on the wall. Thanks to the twisted wire, the dog can cross through the fence at precisely this point without receiving an electric shock. If you want to fetch him back into the house or take him for a walk, this point provides a suitable area for crossing through the fence. An antenna connector is used to attach the wires to the transmitter. Important: The cables must be laid so that they are not pulled too tightly and are not exposed to any sharp angles in the corners. Setting an invisible dog fence in operation is so easy. After switching it on, you can configure the area settings and check whether the cables and flow of electricity are operating without interruption. Both the corrective area and the warning area can be set. 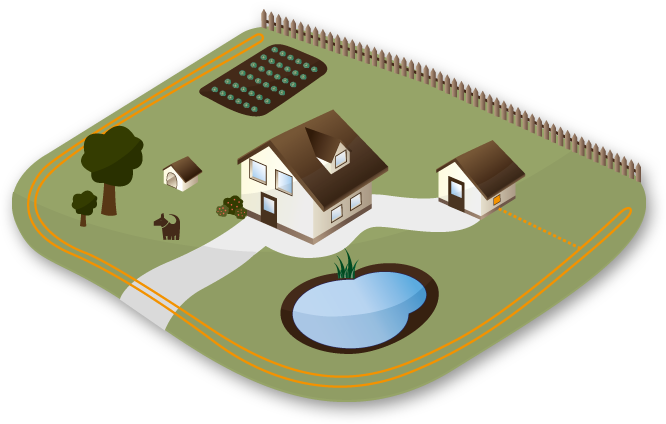 The width of the range for the dog fence’s corrective area can be set. 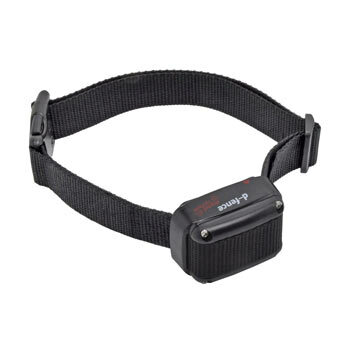 Move the transmitter towards the warning and corrective areas, at the height of the dog collar, in order to program it. Which invisible electronic dog fence is the right one for me? Two renowned manufacturers have proven their worth with their invisible dog fences that ensure customer satisfaction. 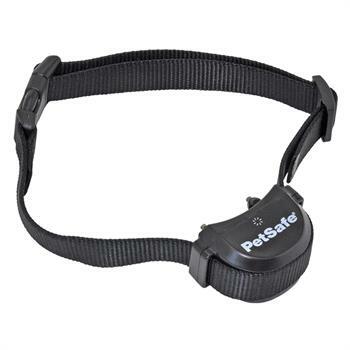 When looking for dog and cat training products, you will often come across the PetSafe and DogTrace brands. In addition to the electric fence, these companies produce items such as anti-bark collars, remote trainers and static correction trainers. Incidentally, these two product categories cannot be combined with each other. If you opt for a DogTrace dog fence, several models are available to choose from. Standard products are suitable both for large and small breeds of dog and can be repeatedly programmed. Customers wishing to be on the safe side, while placing high demands on the transmitter and receiver, will find just what they need with a DogTrace dog fence. The latest technology and high-quality components guarantee a safe area for your dog to exercise in. This type of invisible dog fence also performs a reliable service on large plots of land. The PetSafe dog fence offers an even wider choice. If your four-legged friend is not too large or heavy (over 20 kg) but is rather difficult to train or has already grown accustomed to being punished by the electric shock, high-performance devices are available with various corrective steps, sounds and vibrations. 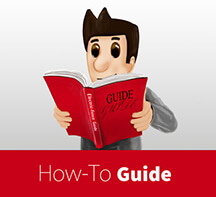 Standard variants such as deluxe versions available in various price categories and with various functions are offered in the online shop. 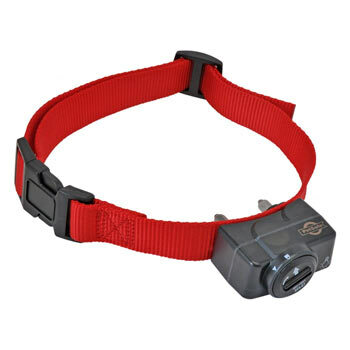 Rather than relying on a complete kit, you can purchase the receiver and dog collar separately. We recommend this, for instance, if you wish to use the PetSafe dog fence for more than one dog. 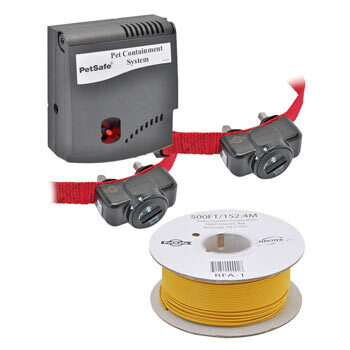 Accessories such as antenna cables, cable connectors and additional receiver collars should not be forgotten, of course. 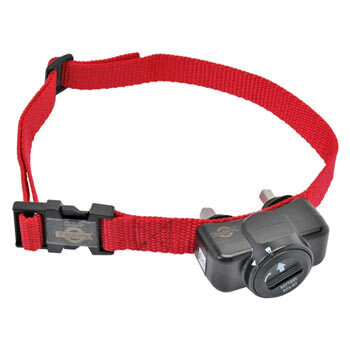 Contacts available in various lengths and dog collars are available in bright colours for all those wishing to use a remote trainer or static correction trainer. Those who, for whatever reason, don’t like the idea of an invisible dog fence, can find a desirable alternative in the Wireless / Mobile dog fence section. 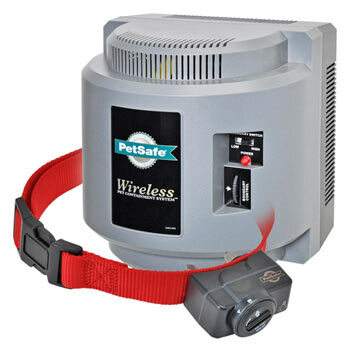 For example, PetSafe offers the wireless Instant Fence dog fence. 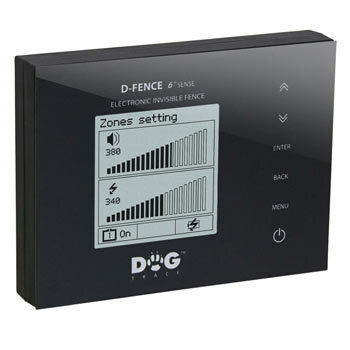 This wireless dog fence is suitable for mobile use if necessary and is even more practical to use. Fast assembly and a range of up to 20 or 30 m characterise this mobile dog fence. 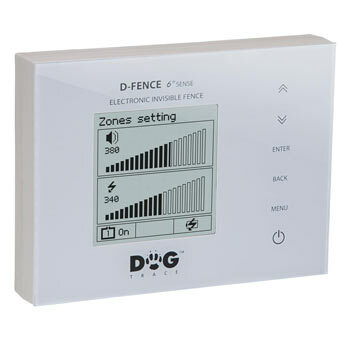 A wireless dog fence guarantees a safe area for dogs to exercise in, and operates by emitting a warning acoustic signal. How does a mobile electric dog fence work? The transmitter generates a magnetic field with a specific range. If the dog wearing the receiving collar leaves this area, a warning acoustic signal is emitted. This is followed by the electric shock correction if the dog disobeys. When on holiday, camping or just on days when you want your dog to get some exercise, this type of mobile dog fence is really handy. A wireless dog fence can be installed in record time. As it operates wirelessly, effort is minimised while safety is increased. The plot of land remains completely unchanged. An invisible dog fence is advisable, above all, if you can’t or don’t want to put up a garden fence, but nevertheless wish to let your dog run free. Regardless of the size of your plot of land, breed of dog or the weight of the animal, the electronic dog fence will fulfil its purpose. Just a few experiences with the device will produce a learning effect so that the dog is not repeatedly exposed to the corrective action, and understands that the warning acoustic signal means that he must stay inside the enclosure. Unlike ordinary fences, it’s not possible for a dog to jump over, dig under, destroy or get round an invisible dog fence. Signal flags can be used to indicate the presence of the fence, if required. In many cases it may not be possible or desirable to erect a garden fence to allow your dog to stay out of doors. In this case, an invisible dog fence is well worthwhile. It does not block the view for animals or persons, does not draw attention to itself and offers optimum protection. Your four-legged friend will not be able to get round the electronic dog fence and, in general, will soon learn that trying to get through it is an unpleasant experience, associated with an electric shock. The warning acoustic signal keeps the dog inside the enclosed area. 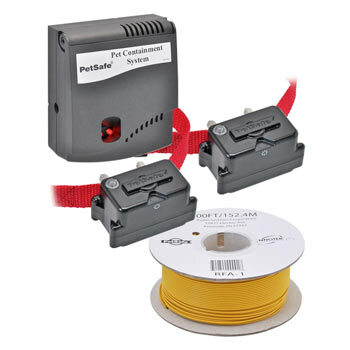 Installing the transmitter, cable or wire and collar with receiver requires very little effort. Wireless, mobile dog fences are available.